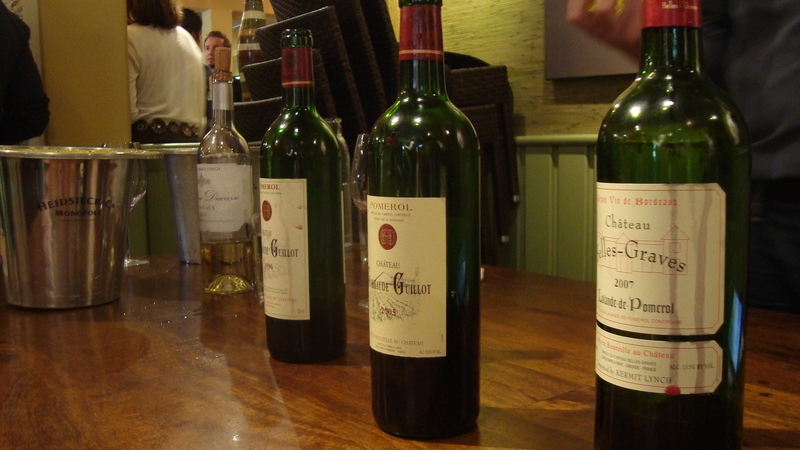 Graves (including Pessac-Leognan, and Sauternes): Found on the “Left Bank” of the Garonne River, Graves is known for reds, dry whites, and some of the best dessert wine in the world (Sauternes). Medoc: This is a wide-spread region found along the “Left Bank” of the Gironde River. There are seven major sub-appellations of the Medoc (Haut Medoc, St-Estephe, Paullac, St-Julien, Margaux, Moulis, and Listrac), all producing reds. In 1855, sixty-one of the chateaux were classified under the Grand Cru Classe (5 of which were of such high quality to be called Premiers Cru). St-Emilion: Found on the “Right Bank” of the Dordogne River, the wines of St-Emilion are always red. Piggy-backing off of the Medoc, St-Emilion also has a Grand Cru Classe ranking for their chateaux. Pomerol: This is the smallest of the top red wine regions in Bordeaux. Pomerol, also on the “Right Bank” of the Dordogne, makes about 15% as much wine as St-Emilion. Though Pomerol does not have a ranking system, one can almost be assured (since they are so scarce) that most Pomerols are the bomb. As far as grape varietals go, you will rarely see the breakdown of grapes listed on the bottle. 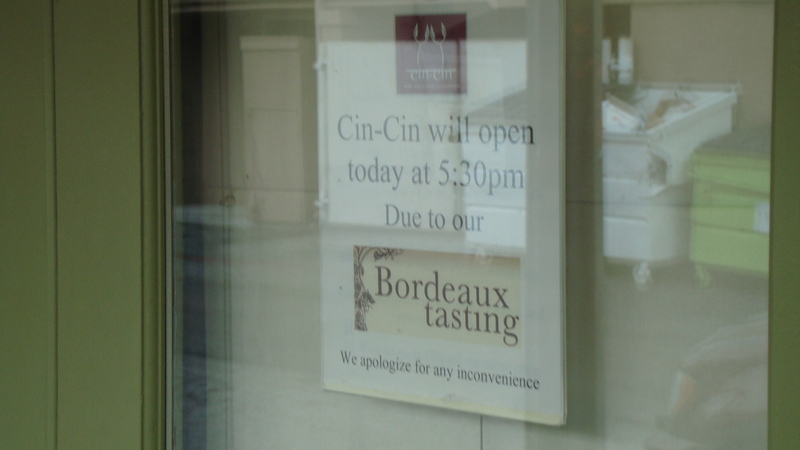 Bordeaux does, however, follow rules in terms of which grapes are allowed in their wines. 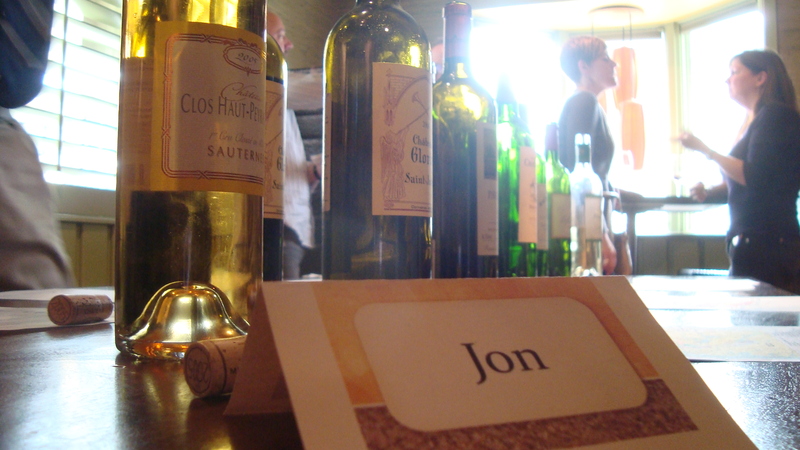 The whites of Graves (including the dessert wine of Sauternes) is primarily made of Semillon and Sauvignon Blanc. As far as reds go, Bordeaux can be made from Merlot, Cabernet Sauvignon, Cabernet Franc, Petit Verdot, and Malbec. To figure out what is the predominant grape, just look at the rivers. 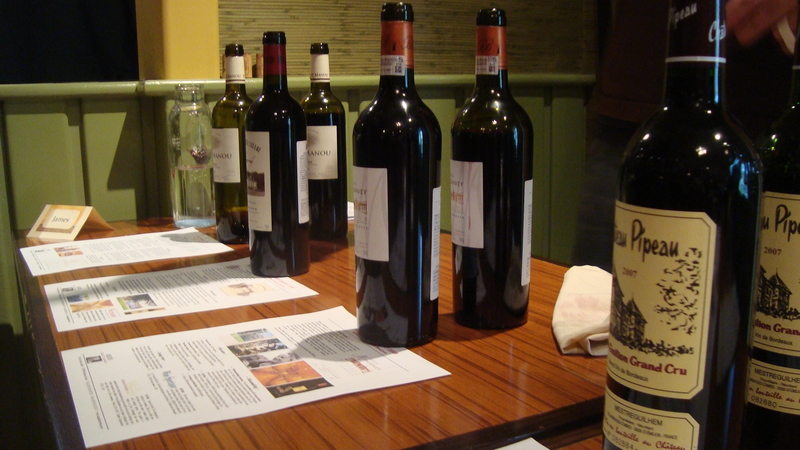 Wines from the “Left Bank” are Cabernet Sauvignon based, while those from the “Right Bank” are mostly Merlot. On the real, though… I’m tired of getting my nerd on. Let’s get some drink! There were three distributors at the event; James, Luke, and Jon. Each had their own table with hella different styles of Bordeaux to choose from. To make sure we started with whites, moved to reds, and finished with Sauternes, Kara and I had to bounce around a bit from one table to the next. Once we got our palates primed, we headed moved into the reds at James’ table. Chateau Gloria 2008 St-Julien($63): 65% Cabernet Sauvignon, 25% Merlot, 5% Cabernet Franc, and 5% Petit Verdot from the Left Bank. This wine is silky smooth with leathery tannins and raspberry fruit. Lovely! 91+ G-L-O-R-I-A! Chateau Gombaude Guillot 2005 Pomerol ($67): Now this is why I love these tastings! I’ve heard plenty of folks rave about the 2005 vintage of Bordeaux, but until now I’ve never had the opportunity to taste any 2005 that would be considered more than just a table wine. This Pomerol is 85% Merlot and 15% Cabernet Franc. On the palate, this right-banker was one smooth criminal. Beautiful cranberry fruit, and a good hit of oak. This wine has the body to last another 15 – 20 years, but is elegant enough to enjoy right now. 92. This entry was posted on November 7, 2011 at 6:43 pm and is filed under Uncategorized. You can follow any responses to this entry through the RSS 2.0 feed. You can leave a response, or trackback from your own site. This Bordeaux tasting sounds legit. I’ll assume my invite got lost in the mail again. Sounds like a great tasting event. Thanks for sharing. It was hella fun, Jeff.